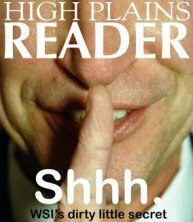 Original published HPR cover by Raul Gomez. Most people who hear of Workforce Safety & Insurance, or WSI, know it has to do with injured workers. But few realize that whether you are a nurse, firefighter, or assembly line worker, your only legal remedy for those damages is WSI. What most people also fail to realize is that in North Dakota, fighting WSI means that even if a judge rules in your favor, WSI does not have to obey the decision. For them, it is merely a “recommendation,” and WSI’s word is final. For years, injured workers (such as myself) have noticed a disturbing pattern in WSI’s handling of claims. Not even insurance companies which have gained reputations for denying claims unfairly are as infamous as WSI in North Dakota. People in North Dakota wonder why WSI is not held to the same standard as other insurance companies, when in fact it is an insurance company for the state. It should be noted that a $750,000 fine was levied against Farmers Insurance Group recently for unfair claims settlement practices. And yet, we read almost daily, story after story about WSI audits, indictments, and other such scandals. Will anything be done? Many who have had the misfortune of being injured on the job find themselves navigating the minefield that is North Dakota’s WSI. Don’t be surprised if what you are about to read sounds all too familiar. Injured workers frequently complain that their employer (1) failed to file a claim on their behalf; (2) told them a claim was filed when in actuality it was not; or (3) informed them that the claim was not compensable through WSI, and that no claim could or would be filed. Sound familiar? Sadly, that doesn’t matter because this problem will probably never be addressed. Unfortunately, according to the most recent audit of WSI, they have been spending the bulk of their investigation dollars on investigating injured workers who file claims, not employers. If workers do not find out their claim isn’t filed, they are stuck with the medical bills incurred when they go to the doctor and try to have WSI cover payment. In many cases, even accomplishing the task of getting the employer to file the report of injury is a battle. Those crazy injured workers! Why would people who are injured, unable to work, and wondering how they are going to pay their bills and feed their families keep calling the agency charged with insuring them? It seems that instead of encouraging WSI to decide their claims, injured workers are just annoying the agency. At the WSI meeting, Michelle Collins stated that adjusters are digging “…deeper to find a reason to deny a claim,” and that they are “…making decisions they are not comfortable with and denying claims that they would never have denied before.” How is this possible? I guess what this means is that WSI denies claims hoping people, who they know are injured and financially strapped, will die, be too poor to fight them, give up out of frustration, or won’t be able to find a lawyer to take their case. Judging by the ever dwindling number of attorneys who are willing to represent injured workers in the state of North Dakota, I would say WSI has won. Does that sound familiar, too? Many people are finding it is easier to file for Social Security Disability benefits (and that system is a mess to try to deal with) than to deal with WSI. No wonder WSI built itself a taj-mahal type bullet proof building and had all its “customer service” claims analysts drop their last names. If you have ever had to talk to them on the phone and asked yourself how it is possible for a an agency like WSI to have its despotic and rude employees treat you the way they do, just remember this image: nameless, faceless bureaucrats sitting behind their bullet proof glass. After these people humiliate and degrade North Dakota’s injured workers, I wonder if WSI supplies them with sleeping pills and masks as well so that they can sleep through the night and look at themselves in the morning. Another common complaint is that once injured workers receive a denial they make the mistake of calling WSI to appeal only to find out after their 30 days has run out, that their appeal had to be in writing. Another problem is the fine print. Denials of medical treatments, surgeries, medications, and the like are not always the same as the denial notices injured workers receive. Many have such tiny print and unclear instructions that injured workers just don’t realize what, if anything, they can do to appeal. However, WSI can take as long as it wants, make as many demands as it wants, and require injured workers to do any number of things before it will even accept a claim. It is not held to the same standard. The public rhetoric on WSI’s “approval” is questionable when one takes into account that “Kim” (it is unclear if it was Ellison or Ehli) stated that while “Sandy (Blunt) is making public statements, testifying at hearings that we are bending over backwards to approve and pay claims, always err on the side of acceptance, (and that the) tie goes to the injured worker,” in reality “…that is not what we are experiencing in our day-to-day practices.” Kim goes on to say that “the inconsistencies are troubling because inconsistencies drive policy.” I agree. WSI policies are very troubling, to say the least. Perhaps Mr. Blunt and his minions have forgotten they are dealing with people, many of whom are disabled by their injures, not just claim numbers. You might wonder how it is possible for WSI to deny payment for an injury they have accepted liability for, and or deny parts of that liability when an injured worker’s treating doctor has told WSI that the injury / damage / medical treatment / medication / referral / etc. (1) is related; (2) isn’t pre-existing; or (4) is medically necessary. Well, that–believe it or not– is pretty simple for WSI. At the WSI meeting, Sonja Nallie divulged that she always struggled with WSI basing decisions of acceptance “…on a medical opinion of the treating physician without any evidence.” What “evidence” could that be? What an insane notion! Who would ever think to let a treating physician decide what is best for his or her patient? Perhaps the opinion of an out-of-state, WSI-paid consultant who frequently has done only a “paper review” (never met or talked with the claimant) is more informed than that of a “treating physician,” but I doubt it. At WSI’s meeting, Dr. Vilella (WSI’s in-house medical consultant) had the audacity to say that treating doctors are “false and unethical” because “Physicians are informing their patients that the fusion (referring to a back surgery) is not successful because WSI delayed them having the surgery while we determined liability.” Obviously, treating doctors need to remember what a billion (yes, I said billion with a “B”) dollar agency can do with that muscle and that they are contending with WSI! Not surprisingly, many doctors stop seeing or refuse to see patients on worker’s comp. I can’t say that I blame them. I’m not sure I would want to give away my right as a doctor to treat my patients without the input or interference of WSI bureaucrats. Many injured workers find that it is just as hard to find a doctor who isn’t alienated by WSI’s tactics as it is to find an attorney to defend them. Here Comes Rehabilitation, Ready or Not! Before injured workers know what hit them, a very “friendly” nurse medical case manager will call on them and insist on tagging along when they go to their doctor. Injured workers feel their privacy violated by these “friendly” medical case managers and find themselves forced to share their most embarrassing and painful unrelated medical issues with WSI. Then, injured workers report that these medical case managers begin to ask the doctor when the injured worker can return to work. They also begin to suggest to the doctor that an injured worker be released to “try” a job. Well, trying can’t hurt anything right? Of course, the medical case manager never explains to the doctor that if the injured workers fails at “trying” a new job, their benefits will be cut off for non-compliance. Does this constant questioning on the part of the medical case manager pressure doctors? The answer seems obvious, doesn’t it? A rehabilitation plan will soon follow. WSI will send a “rehabilitation consultant” to call on an injured worker. This can be quite a surprise for workers who are still in the throes of serious injury or just recovering from some invasive medical procedure. But no matter. “Rehabilitation” is the key! Injured workers frequently complain that the rehabilitation plan set forth by the rehab consultant does not take into account medical problems that are pre-existing or precludes them from performing the work functions that the consultant determined they could do. But that is of little consequence to the rehabilitation consultant. If a plan can be hatched, regardless of what the treating doctor has to say, the injured worker can be held to account. Maybe you are asking yourself: What if I never finished high school; don’t speak English; or have the reading skills of a 14-year-old? Oh, that’s OK. It doesn’t really matter because if you don’t manage to make it through the training, your benefits will be cut off for non-compliance (WSI wins); and if you do manage to make it through, your benefits will be cut by the amount of money you are expected to make at your new “rehabilitated” job (WSI wins again). But what if you can’t find a job or an employer who will accommodate your limitations? To WSI, that falls under the category of “Not Our Problem.” At WSI, “vocational rehabilitation” is a cruel joke. Is there anyone in elected office in North Dakota that can or will fix this train wreck? Where are you, governor, legislators? I’d like to qualify that this article was written because of and is based upon my experiences from working as a paralegal on hundreds of WSI cases over the years in North Dakota (6 years now). I’m the person who gets to watch how people lose their homes; how marriages break up; how suicidal people get when they can’t get adequate medical care; how permanently and irreparably damaged people are when WSI denies them care for too long. In the article I simply drew from my experience with WSI and the stories of our clients. Also, I’ve become an injured worker myself. My claim was (deliberately in my opinion) “delayed” for 4 months before it was accepted despite letters from both my doctor AND employer that the claim was compensable. *Original publication in HPR under the author’s former last name Shawcross and email. Updates to HPR’s website have inaccurately changed the name of the post publisher and date. Original post date listed above.